Grace Bay Beach on Providenciales. A private boat charter at a deserted beach in the Turks and Caicos. This guide is a general itinerary for a one week stay on the island of Providenciales for first time visitors to the Turks and Caicos. It’s important to keep in mind that this is just a general outline. The beach and ocean is the top attraction of the Turks and Caicos, and the trick is to find the best way for you to enjoy the tropical environment. For some, it’s simply lounging in the water and at the beach. Others will want to discover water sports and other attractions. In addition to you flights and accommodation, you’ll want to make some other reservation well in advance of your visit as well. We advise also booking boat charters, reservations at popular fine dining restaurants, and activities such as horseback riding with Provo Ponies as soon as your vacation dates are settled. We advise renting a car for the duration of your stay. There is no public transport in the Turks and Caicos, and taxis can be quite expensive. See Where to Stay on Providenciales for accommodation information. 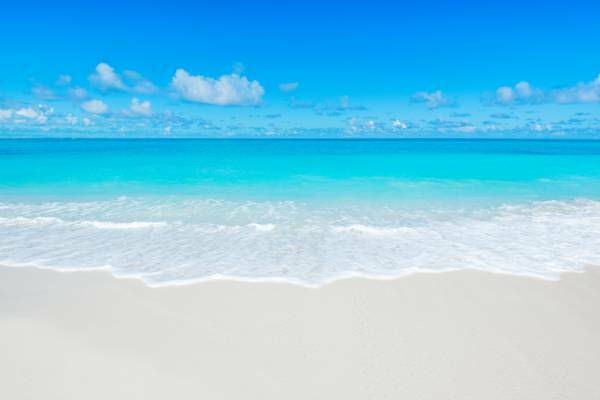 See What to Bring, Best Times to Visit, and Travel Information for important hints and tips on planning the perfect Turks and Caicos vacation. World famous Grace Bay Beach in the Turks and Caicos. Providenciales is home to a great selection of restaurants. We advise making reservations at any fine dining restaurants that you want to try, especially during the winter and spring high season, and especially in the case of popular restaurants such as Coco Bistro. Casual restaurants usually don’t require a reservation. Coco Bistro, Caicos Café, Hemingways, Bay Bistro, Bella Luna, Baci, Mango Reef. Sharkbite, Pizza Pizza, Ricky’s, Da Conch Shack, Las Brisas, Provence, Bugaloo’s. Typically, it takes 1-2 hours to clear immigration and customs, collect your rental car, and check into your accommodation. During the height of the “ high season”, there may be a bit of a que at the Providenciales International Airport. Some regular visitors to the country use the Fast Track service to bypass the lines. Your arrival day is also a great time to stock up on some food, drinks and other necessities. There are several supermarkets to choose from, the Wine Cellar offers the widest selection of alcohol, and the cheapest beer on the island is found by the case at the Turk's Head Brewery. If you need coolers, beach towels, chairs, umbrellas, or inflatable floats, try Building Materials Do It Center or Graceway Gourmet supermarket. A wonderful way to spend the remainder of the day is to enjoy one of Providenciales’ amazing beaches! Discover and enjoy Grace Bay Beach. There’s a reason that this exquisite beach often ranks as the best beach in the world – the clear turquoise water and sugar-soft white sand of this coast is breath taking. If you’d like to explore more than Grace Bay, try the Stubb’s Point (also known as Pelican Point) or the Emerald Point area of Leeward Beach. Likewise, the Bight Beach and Long Bay Beach are also spectacular. Fort George Cay is a spectacular destination for boat charters. 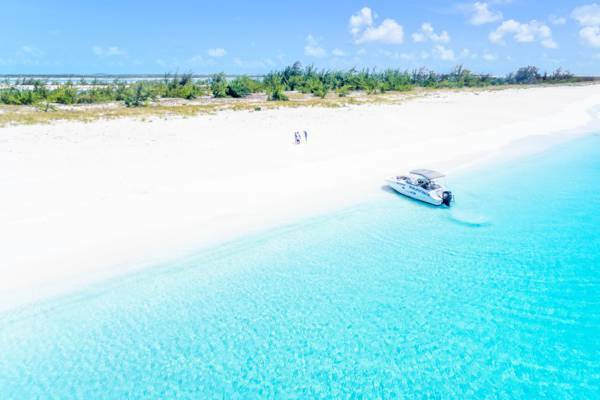 Take a cruise to the Caicos Cays. Your boat charter is something that you should schedule well in advance of your visit, as availability on popular excursions can be limited. There’s so much to see by boat. 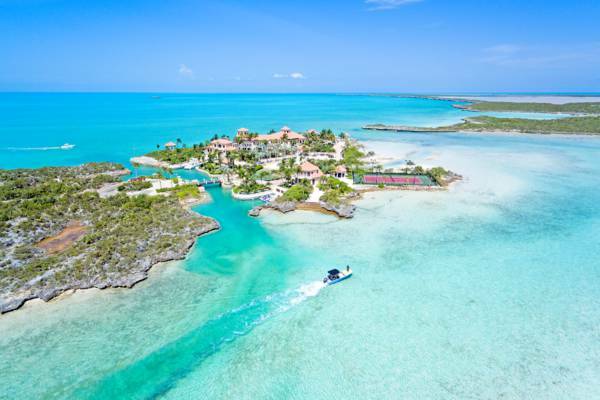 There’s the Turks and Caicos Islands Rock Iguana sanctuary of Little Water Cay, Half Moon Bay, Water Cay, Pine Cay, Dellis Cay, and the exquisite Fort George Cay, where 1700s cannons can still be seen in the water today. Snorkelling on the barrier reef is an amazing experience. The offshore reefs offer a different atmosphere to the beach reefs. The water tends to be clearer and bluer, there are fields of waving sea fans, and you’re more likely to see one of the larger sea creatures such as a dolphin or shark! Mansion at Silly Creek, Providenciales. There are many beautiful coastal area to explore. Once you’ve spent a day or two on the water, it can be fun to explore Providenciales by car. A good place to start is touring the scenic Venetian Road and Turtle Tail area, which offers turquoise waters, coastal bluffs, elegant villas, and a few secluded beaches. The southwest of Providenciales includes the vibrant turquoise of Chalk Sound National Park, Sapodilla Bay Hill, Sapodilla Bay Beach, Taylor Bay Beach, and Five Cays. When in the area, a great place for lunch is Las Brisas or Bugaloo’s. Blue Hills, the original settlement on Providenciales, offers a quaint beachfront drive with a laid-back Caribbean feel. Smith's Reef is an excellent snorkelling site. 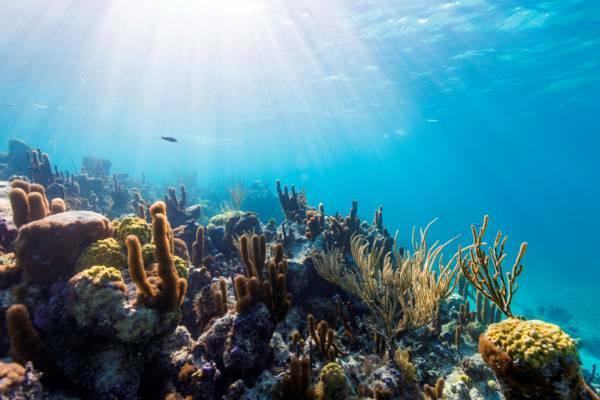 Another wonderful way to spend part of the day is snorkel at some of the amazing shore reefs Providenciales. Two centrally located sites, the Bight Reef and Smith’s Reef, offer beautiful underwater sights. Both are located directly off the beach. The Bight Reef (Coral Gardens), is the more popular of the two reefs, and is very easy to find and navigate. A single reef system leads off the beach for several hundred feet out, and there’s plenty of coral and colourful fish to see. Sea turtles are also common sightings as well! A great activity for later in the day is to take an evening cruise to watch the sunset. You’ll want to make sure that you visit your checklist of beaches. The best beaches on Providenciales includes Grace Bay, Leeward Beach, Long Bay Beach, the Bight Beach, Sapodilla Bay, and Taylor Bay. If you’ve missed any, now’s the time. The best gift and luxury shopping on Providenciales is located in central Grace Bay at a few adjacent plazas. The Saltmills, Regent Village, and Ports of Call are home to many gift shops, art galleries and restaurants, and it’s easy to spend a few hours browsing. 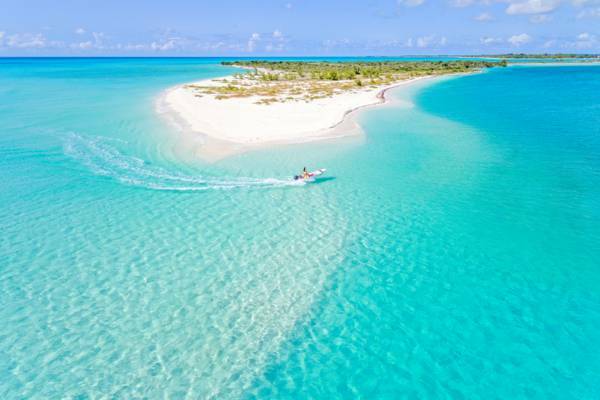 As an alternative to the above, and If you’d rather spend more time explore the natural beauty of the Turks and Caicos, consider a day trip to the verdant North Caicos and Middle Caicos. 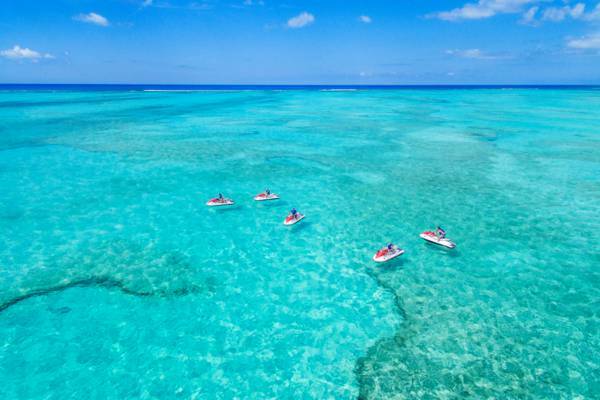 Jet ski tour on the amazing waters of the Turks and Caicos. 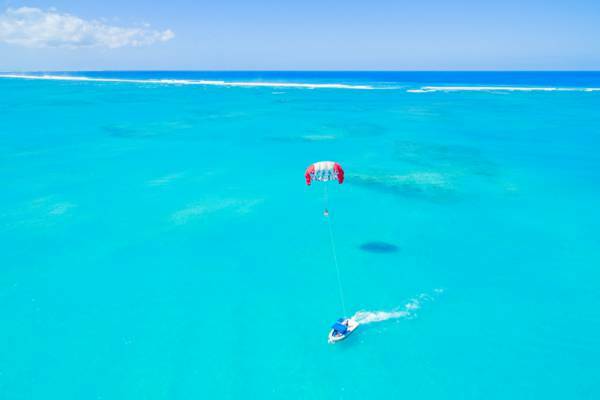 There are so many amazing water sports to try in the Turks and Caicos, and your last full day is the perfect time to try one out. Exciting options include parasailing, jet skis, and sport fishing. If you’d rather get a little closer to nature, there’s kayaking and paddle boarding in the wetlands, kiteboarding, freediving, and scuba diving. Horseback riding on the beach with Provo Ponies is also a very popular thing to do! Land activities include guided ATV tours, a tour of the local Turk’s Head Brewery, and the historical Cheshire Hall Plantation. If it’s a breezy day, it’s also fun to watch the kiteboarding at Long Bay Beach. We advise arriving at your airline check-in 3 hours prior to flight departure time during the winter and spring months, and 2 hours prior to departure during the summer and fall seasons. 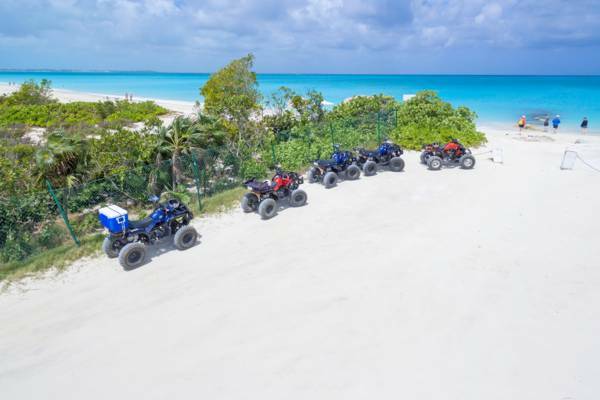 Guided ATV tour on Providenciales. If you have time to more activities, the following are some additional ideas. Potcake Place, a non-profit dog rescue charity, welcomes visitors to take a Potcake puppy out for walk on Grace Bay Beach, which is a very popular thing to do, especially with children. If you’re staying at a vacation rental or a smaller hotel, yet would like to have a bit of the resort experience, a day pass to one of the larger resorts can be quite fun. Club Med, Beaches, and several other all-inclusive resorts offer day and evening passes.